For most of us, pumpkin is something we only cook with at Thanksgiving so make it count. While pumpkin pies and cheesecakes may be yummy, this year do not limit yourself. Pumpkin biscotti or scones? Maybe pumpkin & Mexican hot chocolate? Pumpkin cinnamon rolls? 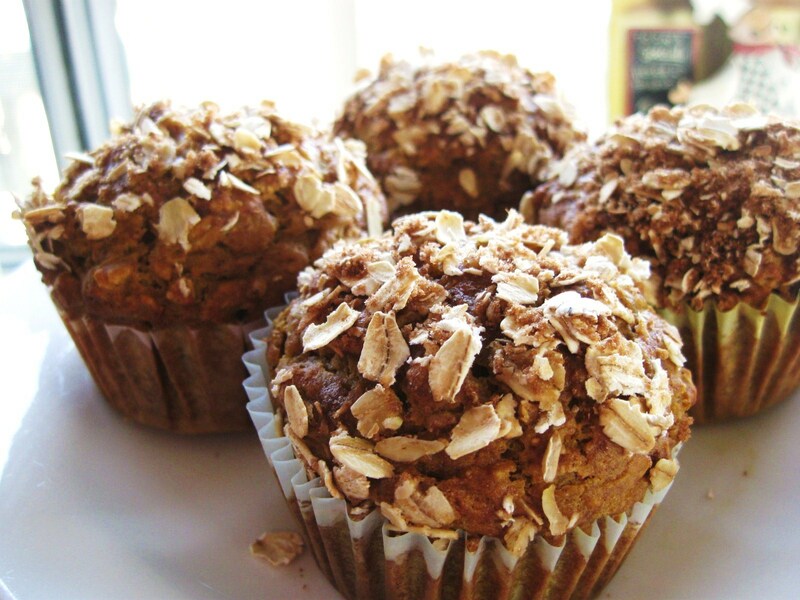 How about this recipe for Spiced Pumpkin Muffins? 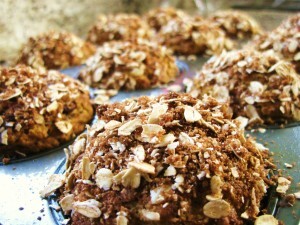 The spices will help flavor your muffins, and the oats on top will give your muffins a nice little crunch. So while that slab of pumpkin pie might be tasty, this recipe is both tasty and diabetic-friendly. Remember, it’s National Diabetes Awareness Month. As an option for those not monitoring blood sugar levels, you can add some chocolate chips. Make the muffin your own by adding dried apricots, cranberries, or orange zest to your batter. 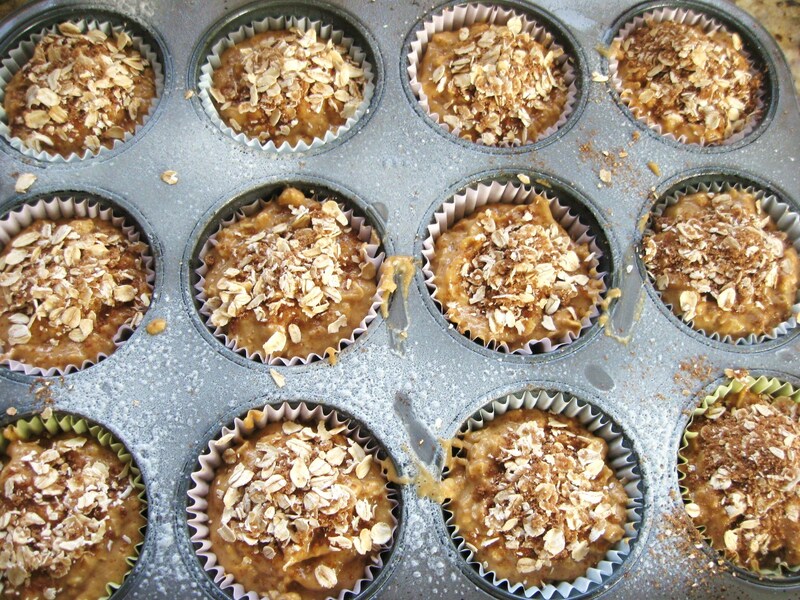 1 Preheat the oven to 400 degrees F. Place 12 paper baking cups into the muffin tin and spray with the cooking spray. 2 Mix together the flour, 1/2 cup rolled oats, 1/4 cup brown sugar, baking powder, baking soda, 1/2 teaspoon cinnamon, nutmeg, allspice, and salt. 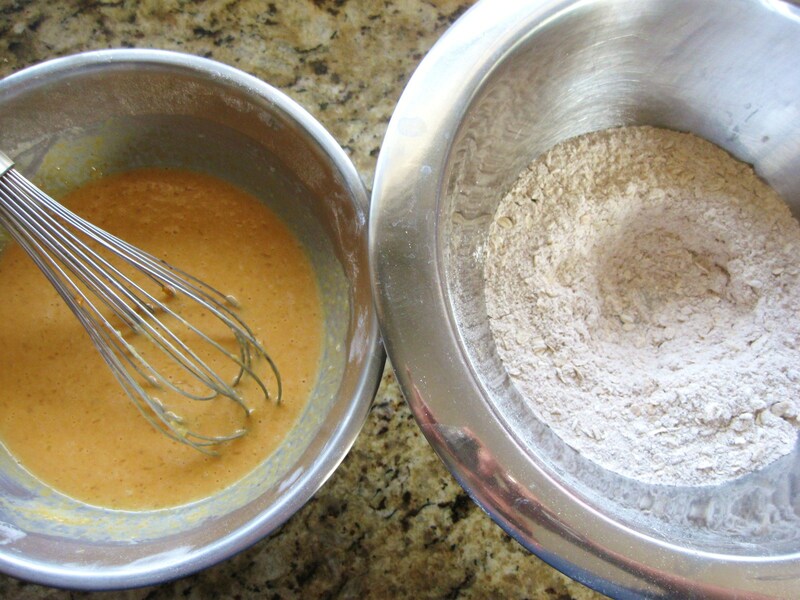 3 In a separate bowl, whisk the pumpkin, eggs, milk, and margarine together. 4 Make a hole in the middle of the flour mixture and pour the pumpkin mixture in it. Mix just enough to moisten all the ingredients. 5 Fill the muffin cups until they are almost full. 6 Mix the 2 tablespoons oats, 1/2 tablespoon brown sugar, and 1/8 teaspoon ground cinnamon together in a bowl and sprinkle on top of the muffins. 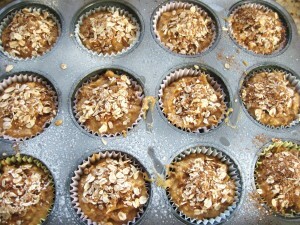 7 Bake the muffins until a toothpick comes out clean, about 22 to 25 minutes. 8 Let cool for 5 minutes before taking them out of the tin then serve immediately.